A quarter of a century after her critically acclaimed break out novel, Midnight Lemonade, Goethe returns to the literary scene with Goner. 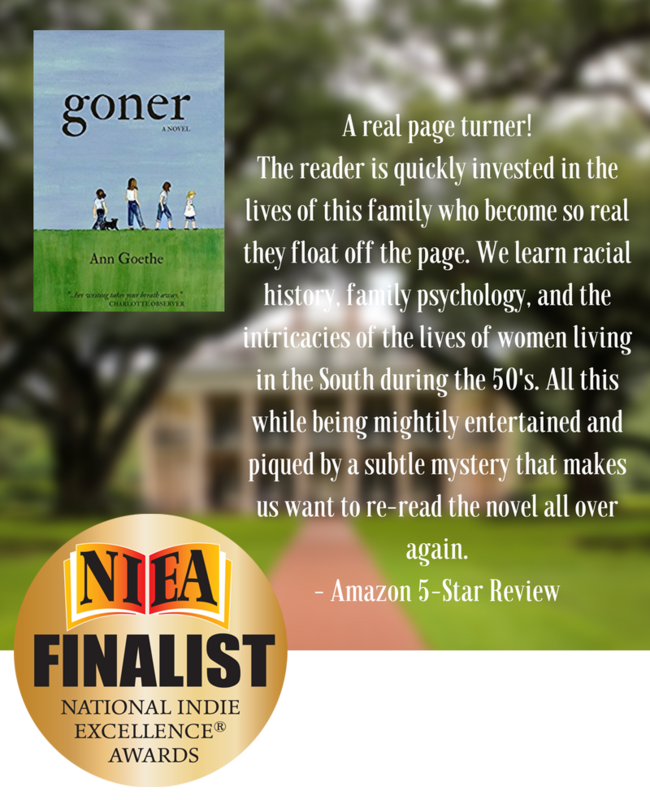 While her first book followed a woman’s coming of age in the 1960’s and the tug between motherhood and independence, Goner tells a very different story, one that begins in 1941. The narrators seem to be four sisters spinning their family’s history with humor, outrage, and romanticism. As is often true of children, they cannot imagine the secrets grown-ups keep. While her first novel followed the life changes of one woman, Goethe’s second one examines the evolution of a place—South Louisiana from the war years through the death of Dr. King.